An eight-wicket haul from Bilawal Bhatti shot out United Bank Limited for 189 in their second innings, leaving Sui Northern Gas Pipelines Limited chasing a target of 160 to win the Quaid-e-Azam Trophy. SNGPL's chase got off to a rocky start, however, as they ended the third day 56 for 3, with the experienced pair of Azhar Ali and Misbah-ul-Haq at the crease. The second day had ended with Bhatti dismissing the opener Sharjeel Khan to leave UBL 17 for 1 - effectively minus 13 for 1. The third day began with Bhatti needing to bowl one ball to complete his over. He had Umar Siddiq caught behind off that ball. UBL avoided giving Bhatti the hat-trick, but Azizullah bowled Shan Masood and Sohaib Maqsood in between. The two SNGPL quicks had taken four wickets in the space of seven balls, conceding only two runs in the process. From 19 for 4, UBL recovered thanks to Younis Khan's 128-ball 98, which contained 16 fours. He dominated a fifth-wicket partnership of 141 with Hammad Azam before Bhatti bowled him. There was little resistance thereafter, as Bhatti swept through the lower order, picking up the remaining wickets as UBL lost their last six wickets for 29 runs. 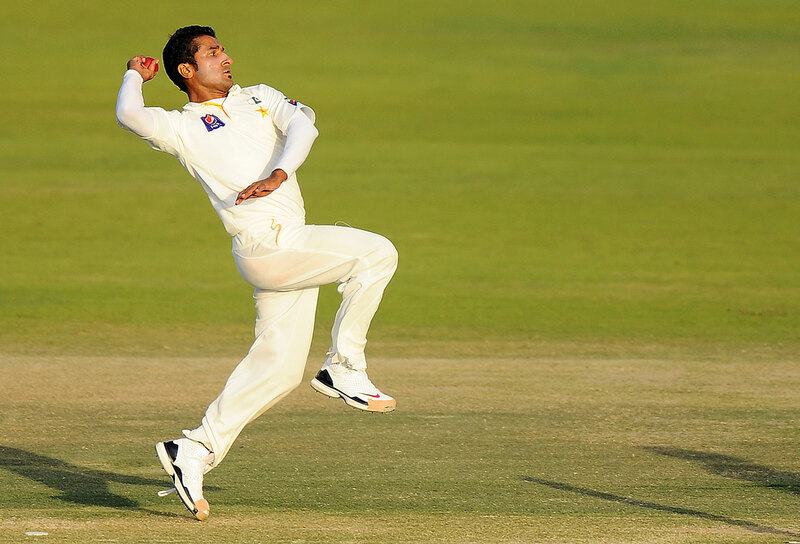 Five of Bhatti's eight wickets - and seven of ten overall - were either bowled or lbw. Bhatti's figures of 8 for 56 were his best in first-class cricket, as were his match figures of 11 for 95.